Absolute luxury coupled with absolute power. 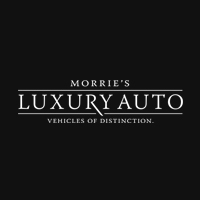 and discreet technology to achieve the highest levels of luxury and style. 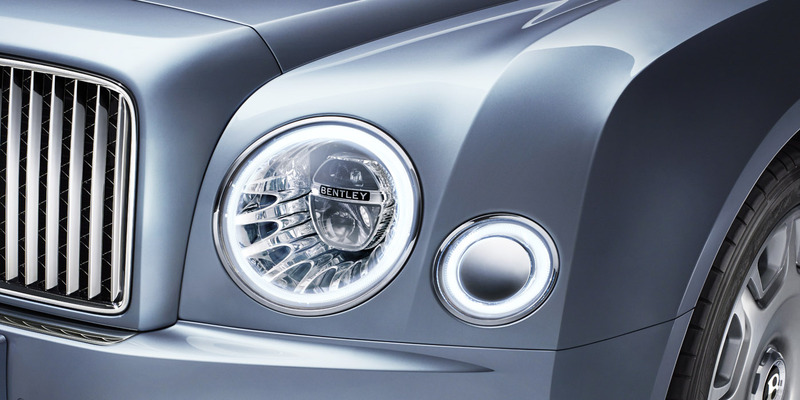 Perhaps the most visible change in the new Mulsanne is the introduction of a wide front grille in front of the familiar Bentley matrix, featuring bright stainless steel vertical vanes. It matches the stainless steel Flying ‘B’ wing vents found behind each front wheel arch and the polished stainless steel exhaust tailpipes. A retractable Flying ‘B’ radiator mascot can be commissioned as an option, to complete the picture. 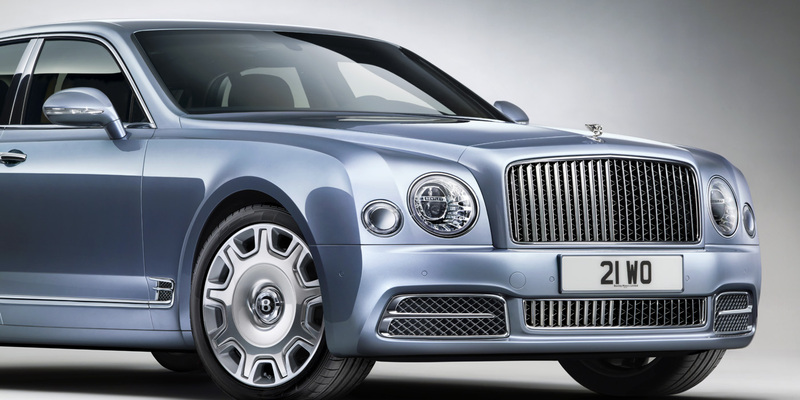 To propel the new Mulsanne forward at speeds of up to 184 mph (296 km/h), its engine produces 505 bhp (377 kW / 512 PS) at 4,200 rpm and up to 1,020 Nm (752 Ib.ft) of torque at 1,750 rpm. The result is surging acceleration from 0 to 60 mph in just 5.1 seconds (0 to 100 km/h in 5.3 seconds) – practically unheard of in a car of this size. An 8-speed automatic transmission ensures fast, smooth and seemingly limitless acceleration, while steering wheel-mounted paddleshift controls allow manual intervention, for a more hands-on driving experience. 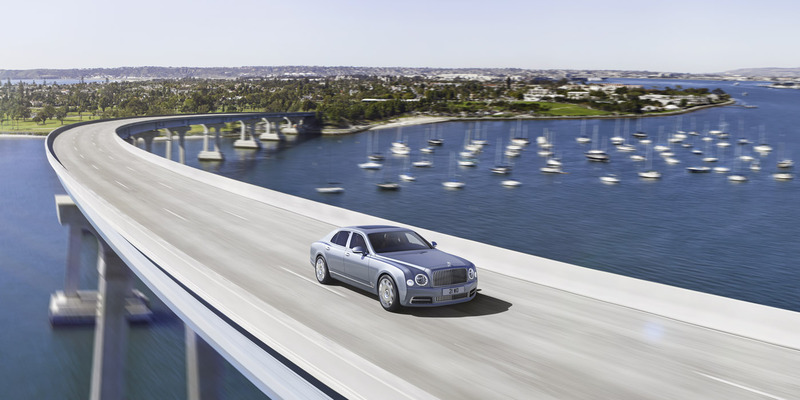 A new 8” touch screen controls the new Mulsanne’s information, entertainment and vehicle systems. With the help of in-car WiFi, it provides access to online services such as music stores and 20 GB of local storage. Voice input, now supported in 25 languages, allows for complete control, without averting your eyes from the road ahead. Exclusive to the Mulsanne, the new Bentley Theatre rear-set entertainment system features two 10.4” touch screen tablets that can be deployed electrically from within the backs of the front seats. They give passengers access to many of the car’s systems, including journey and vehicle data, games, locally-stored digital music and disks in the DVD changer. In-car WiFi means that streaming of cloud-based media, video calling, internet radio and office functions are also available. The tablets can even be removed from the car and used independently. 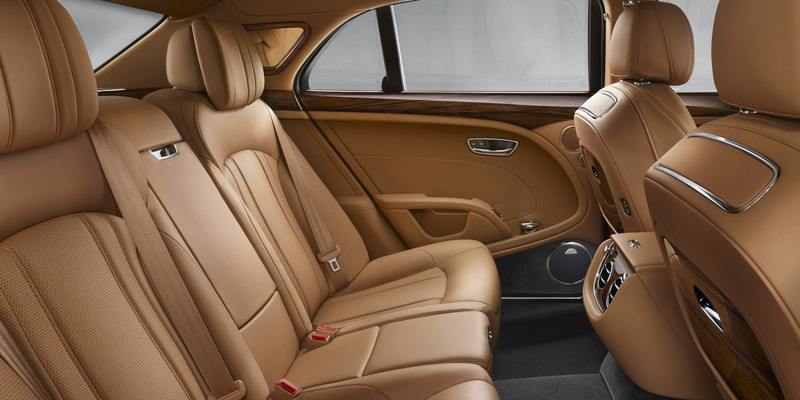 With its acoustic glazing and soundproofing, the Mulsanne delivers incredible music reproduction from its signature audio system. 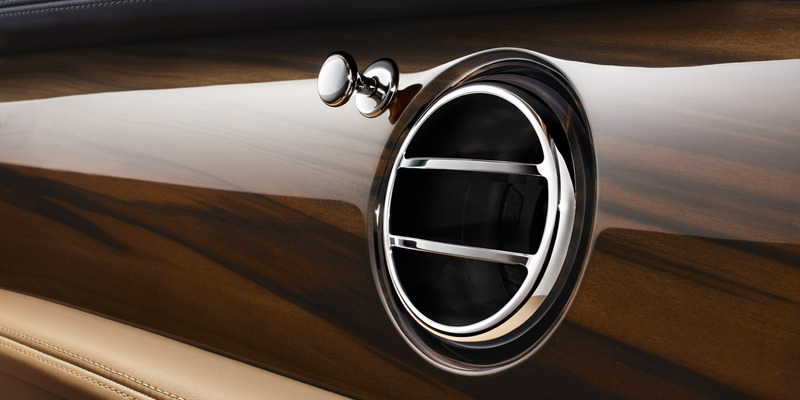 True audiophiles will opt for Naim™ for Bentley, however. With 20 custom-made speakers, a 2,200-Watt amplifier and eight DSP modes, it delivers an unparalleled audio experience.